I first heard about them at the Green City Market in Chicago. I was recipe shopping among the all of the farmers there, writing a story for the Chicago Tribune about the then new “celebrity” of the food world: the farmers themselves. Today that’s not a new thought, but back then, some 7 years ago, it was. At first they kind of laughed at my question: what’s your favorite way to cook what you grow? Probably because they knew that their answer was going to end up in print, they seemed sheepish. Just real simply, was the response I heard most frequently about what goes on in the growers’ kitchens. But when pressed, their idea of real simple translated to pretty darn innovative. Food doesn’t need to be complex to be innovative. The star of the line-up of everything from local honey cake to garlic pickled mushrooms was the kale chip. This was long before pretty much anyone, pretty much anywhere, was eating kale chips. Beth at Green Acres started talking up the kale to me, which I hadn’t laid a hand on before. 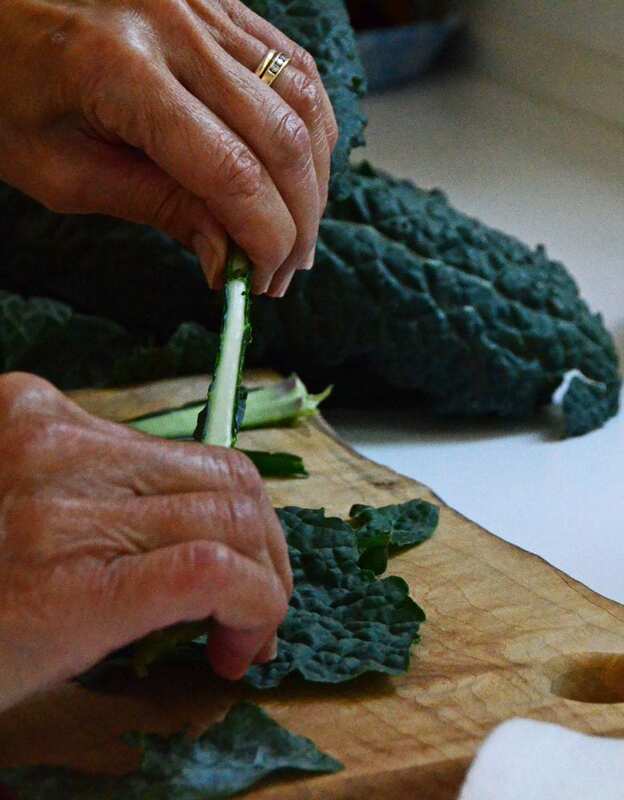 She showed me how to prep kale by simply stripping the leafy green from the stalk with a swift pull between thumb and forefinger. 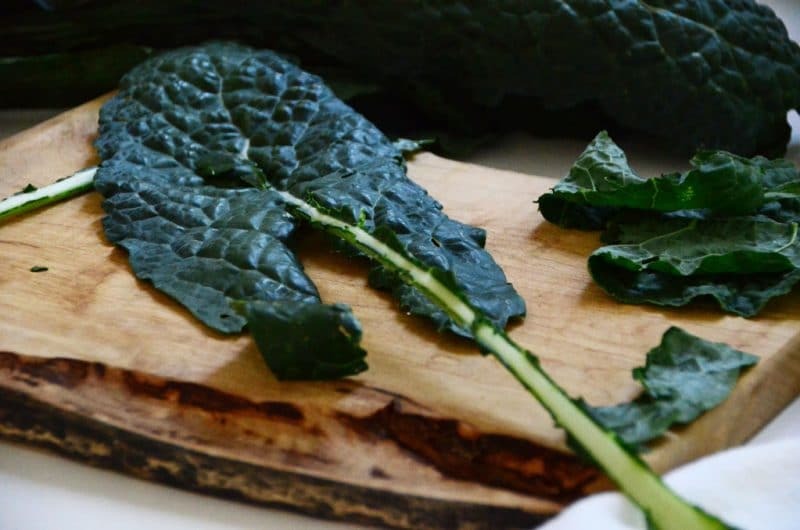 Grab the end of the kale with your dominant hand, place thumb and forefinger of the other hand at the base of the kale leaf, and apply some pressure as you pull along the stalk stripping the leaf away as you go. That’s it. It’s a satisfying little task, one that requires no knife and gives the best tool in the kitchen—your hands—their due. 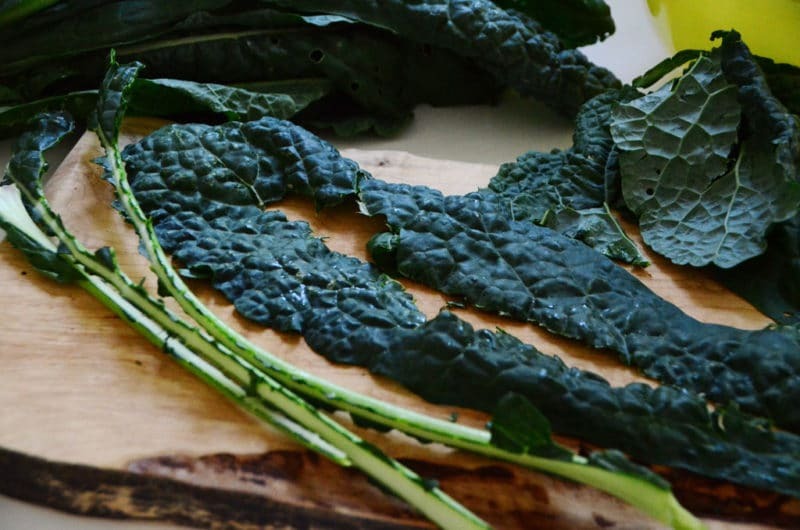 Get your kale and strip it down so you can be ready; my kale chip recipe is going to make you extra happy this week. One Response to "How to prepare kale"
We were just talking about kale chips the other day! I’ve never made them. Looking forward to your recipe!